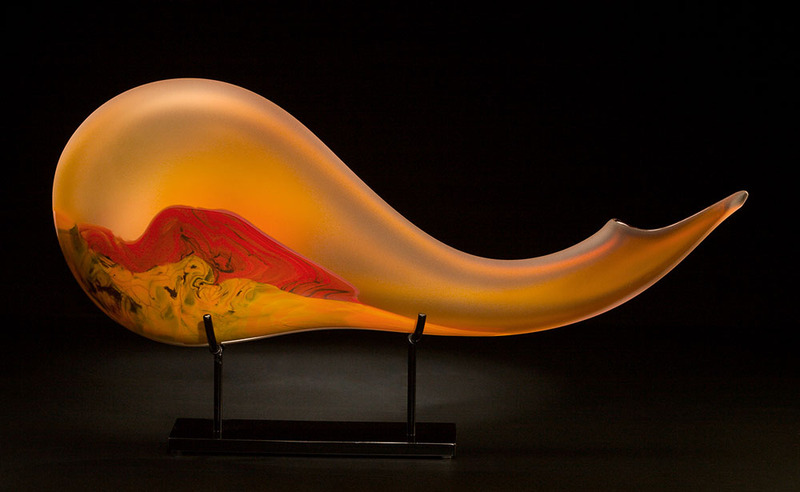 The landscape composition of the Montara glass sculpture uses the qualities of hand-blown glass to create depth in the horizon. The transparent aurora glass color has been sandblasted creating the translucent effect. A custom metal display stand is included.